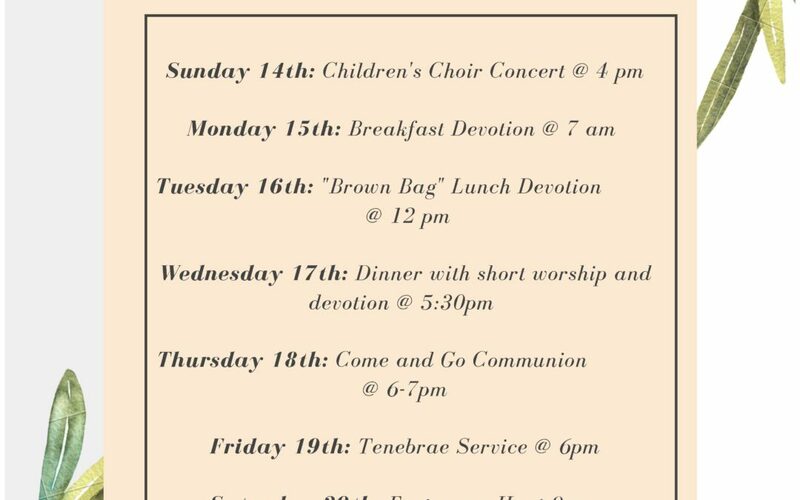 Holy Week is almost here and we have lots of opportunities for you and your family to join us as we prepare our hearts for Easter. We cannot wait to see you! 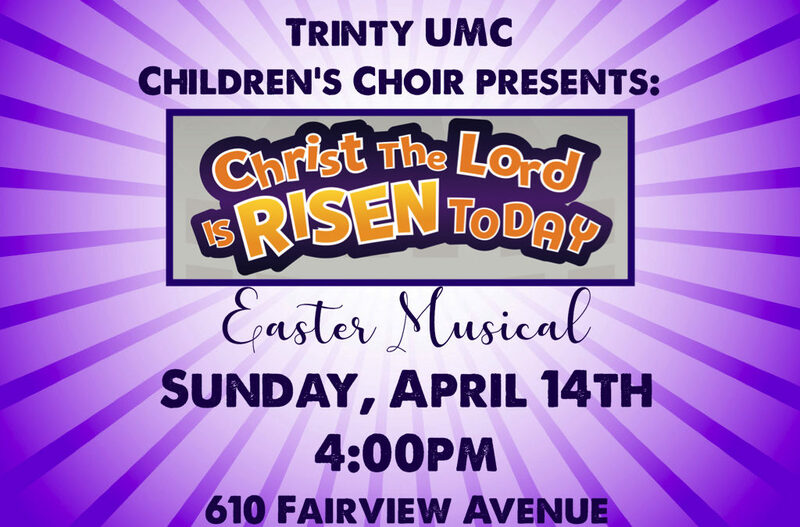 Come see the beautiful story of Easter shared by some of Trinity’s youngest members. This is an event you will not want to miss. 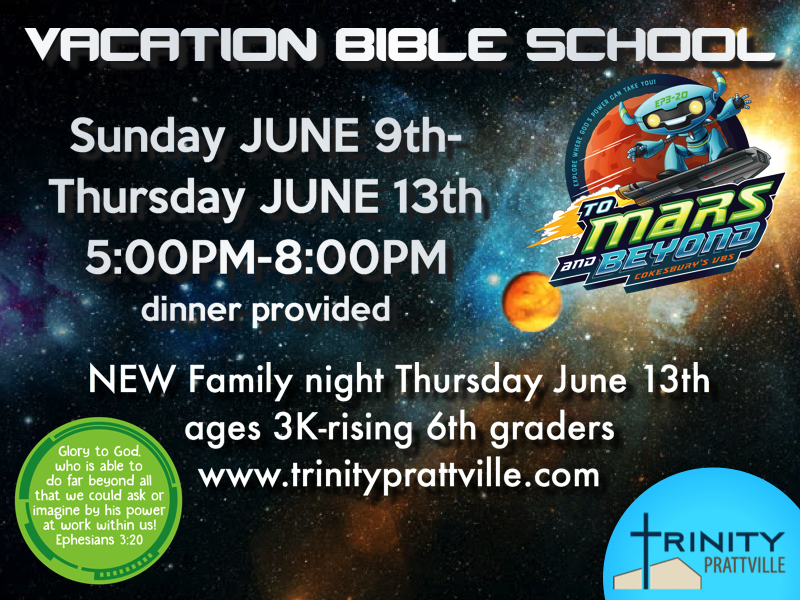 Join us for a great VBS as we head “To Mars and Beyond”! Look for online registration coming soon!! 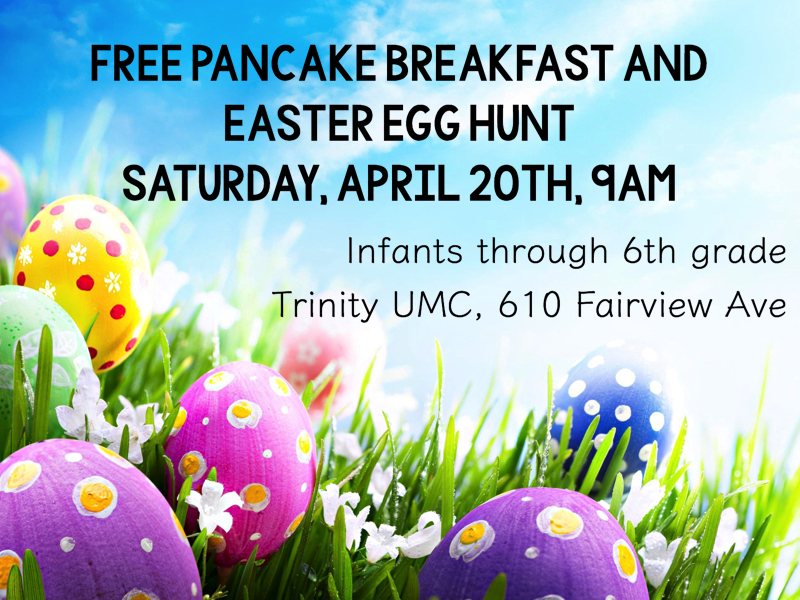 Join us for a fun family event as we celebrate our Risen King! Bring your baskets to collect eggs and enjoy a breakfast together and a visit from the Easter Bunny!